Hi everyone! Jen here today... happy to bring more fairytale inspiration your way! 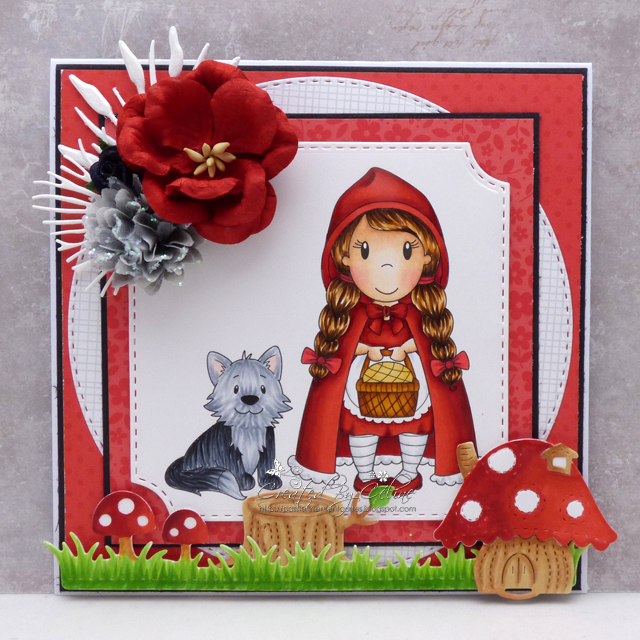 My gate fold card features little miss Riding Hood. 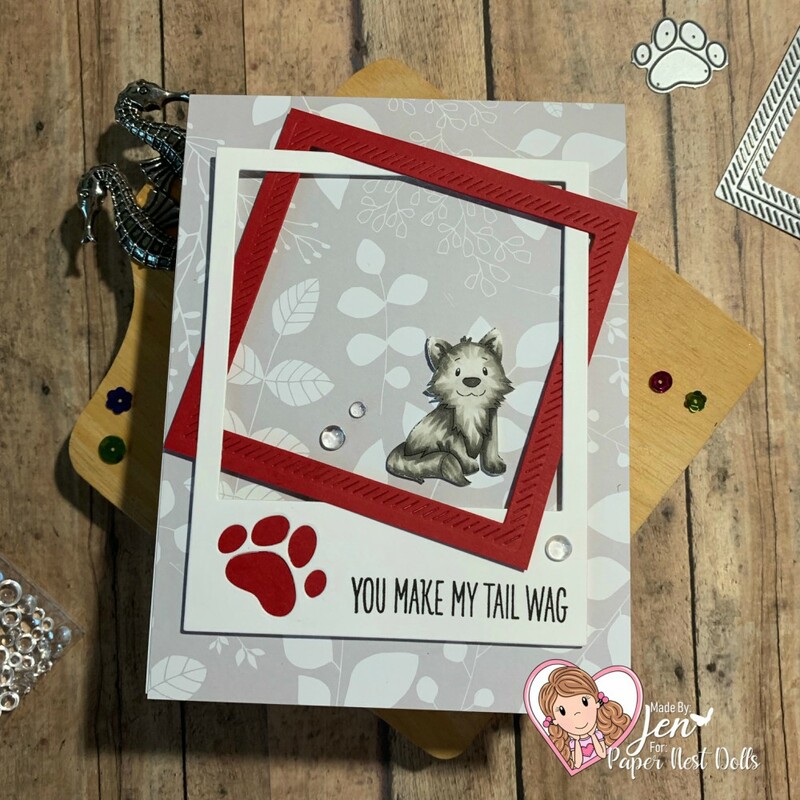 You can also find the red rubber stamp here. 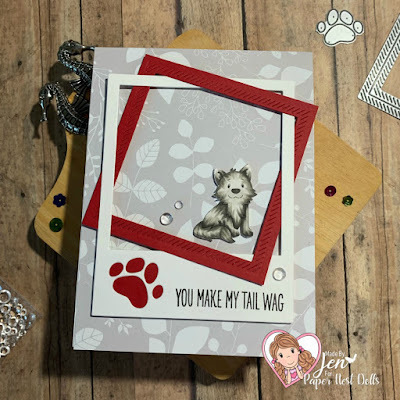 I used the big bad wolf pup on the front - however, you should know he's really quite friendly once you get to know him. 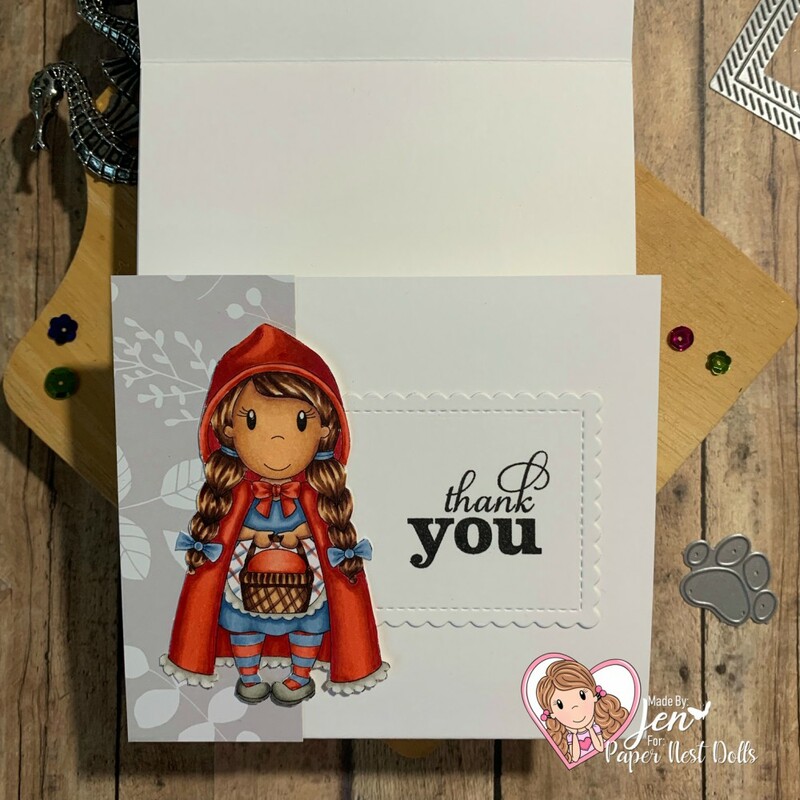 When you open the card, you are surprised to find riding hood, which folds down to give you plenty of white space to write a message on the inside of the card. I colored both images with Copics. 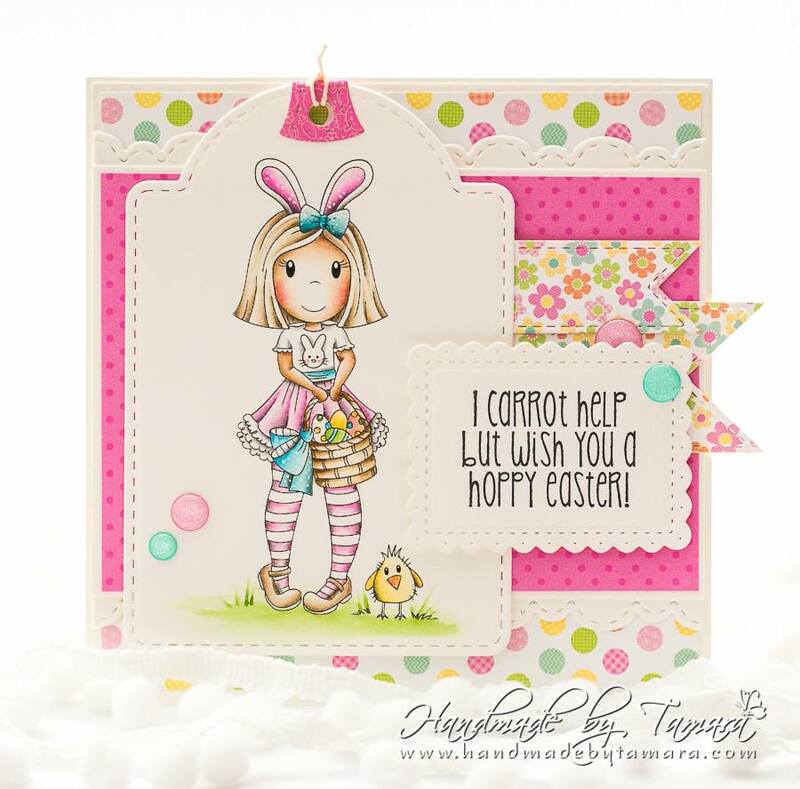 For more details, please visit my blog, Haystack Cards. 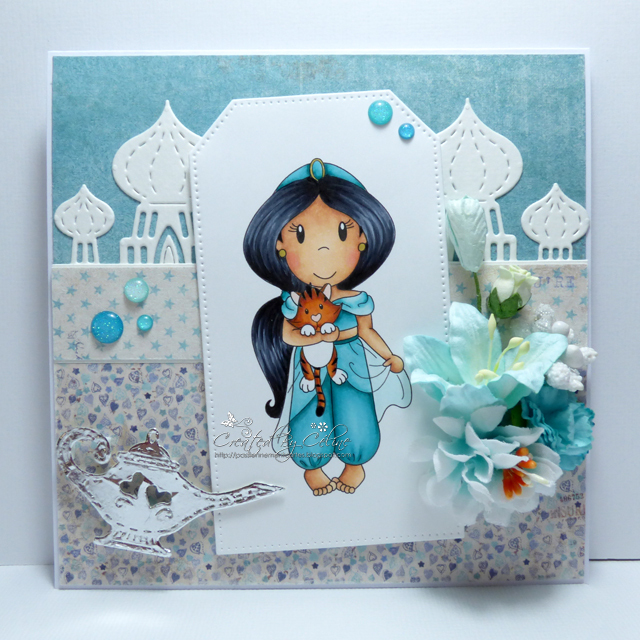 this one is " Arabian Princess "
Today is the perfect day to share the 3 cards featured in the Easter issue of Creative Stamping Magazine....i loveeeeee them all, the colors are so happy and beautiful. Ellie with Bunny Friend, Emma Bunny & Will Work For Carrots are the images used. Hi everyone! 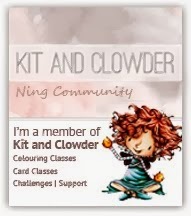 Jen here... and I'm excited to be joining the design team after guesting with Christine these last couple of months. 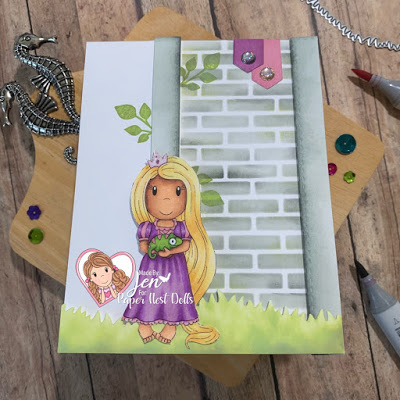 Today, I'm showcasing the new fairytale digital image, Tower Princess. 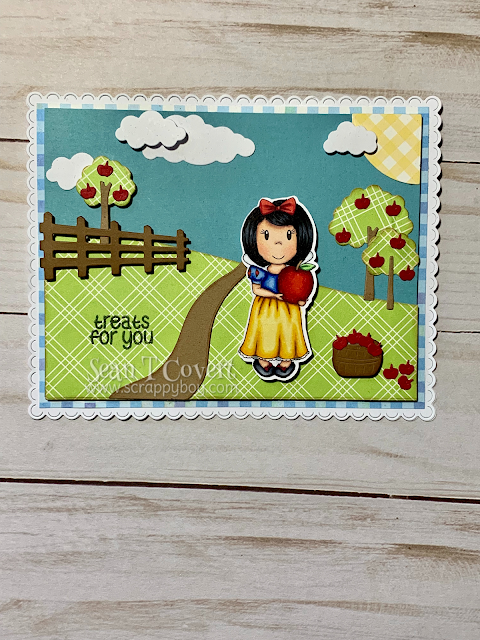 You can also find the red rubber stamp here. Aren't these fairytale dolls simply adorable??? It's hard to pick just one!! I colored the image with Copics. The stenciled background and grassy hill were inked up with distress oxide inks and popped up with foam tape. More details can be found on my blog, Haystack Cards. this one is " Red Riding Lulu "
I've added stripes on the cake I prefer, that is cool to add or not stripes as we want. Good morning! 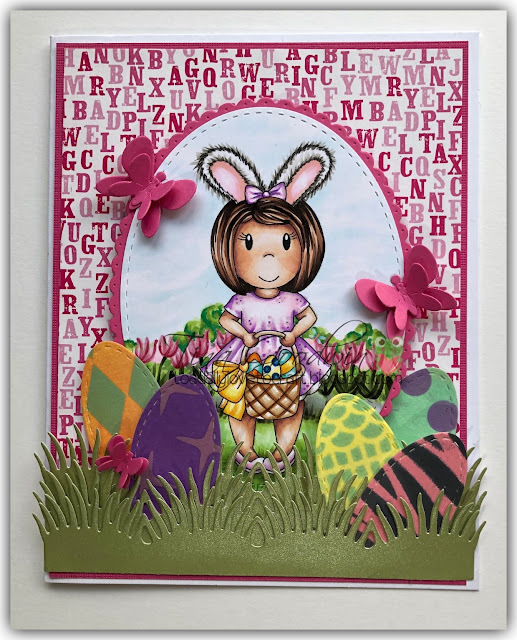 I am back with my last Easter card for the season. The image is Lulu with Easter Basket. I colored her with Copic markers. All the color combinations are listed below. The dies that I used are all from La-La Land Crafts. The eggs were done with the oval die. I cut the eggs and then used oxide inks to color them. Thank you so much for stopping by today. I hope that you all enjoy Easter weekend with your family! 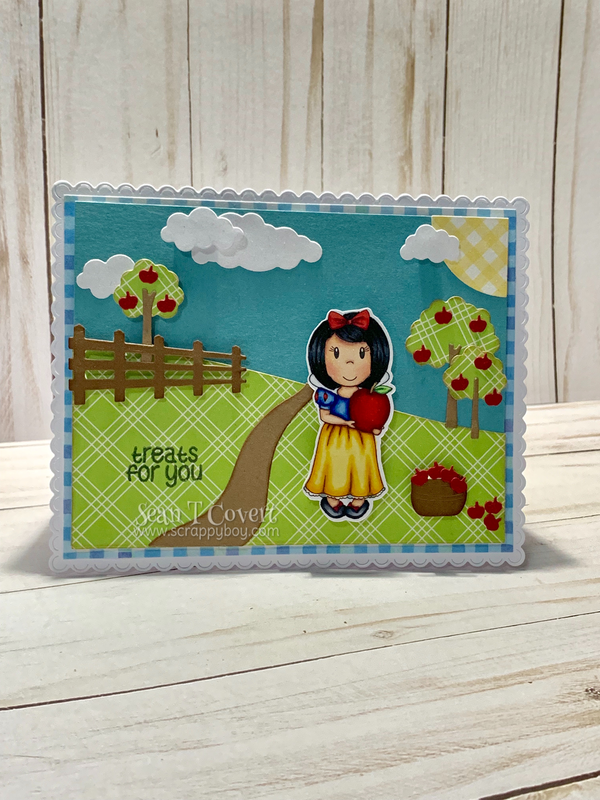 Hello everyone, Sean here to share with you my newest card using the SUPER cute Princess & Apple from Paper Nest Dolls!